If your answer is YES, please make your way to Cuteness Pet Community right now, the ultimate meeting point for cats and pet lovers worldwide to come together and play! Cuteness Pet Community is of course FREE to join. Registration is very easy and will take you less than 2 minutes to complete! Once email confirmation is received, you can immediately start building your pet profiles with Photos, Status updates, Friends and many more before exploring the many cool activities and features you can now enjoy with other pet lovers in the community. I really like the sound of Cuteness Cutewars, which are Cute Pet Challenges or duels between your pet and any other pet you deem worthy to challenge in a really fun and adorable contest. Members get to view and vote for the cutest pet in the 24/7 battle. 64 pets that receive the highest Cuteness Rating will then battle it out in the Thunderdome to see who is the cutest of them all! Sounds terribly exciting doesn't it? Winners will also WIN awesome prizes so perhaps I'll enter my cats for a cuteness duel after thoroughly exploring this new community I now belong to. It is fun being in a Pet Community and it does make me feel a little special to share similarities and ideas with other pet people. Plus, there is also an exclusively-pet shopping section with more than 1,300 pet products available. I took a peek at the cat section and fell in love with this beautiful Park Place Mega Cat Hotel! Upper and lower main condo rooms accommodates multiple cats while the end units connect to the main condo as single guest rooms. 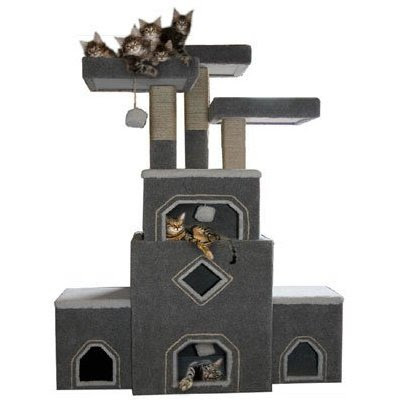 Roomy enough to accommodate more than 10 cats, this would be the purr-fect place for my kids to host a slumber party for the Gambling Cat and the rest of their fluffy friends! hello Benji, Chubs and Pheebs.. are you guys behaving and not giving problems to Uncle Hans? Be good ya and your master would bring you lots of treats ok!!!! Wah, nice hotel. It must be fun being a pet these days ... LOL! wow! this hotel looks nice! I wish I can have more cats but the only current one I have likes to pee all over the house. Not a day goes by without me cleaning up his mess. Stretched out , out of reach of your corner , tucked wind, cold wind the corner . With a grateful heart to the face of adversity , thanks for it gave us the opportunity tempered, becomes more excellent himself. Vague memories of a freeze in the fall of autumn monsoon wind from my cuffs gently past, face a wait Daoke traces fleeting. I listened , knowing Zaiquan invalid because she Gongdie itself is not dedicated to her son for her nursing resentment .